Don’t you love a quick meal you can make for the whole family? Everybody just loves this one. 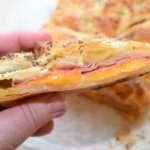 Whenever my kids or husband see me making this Ham and Cheese Breakfast Braid, they start hanging around the kitchen just waiting to grab a slice. 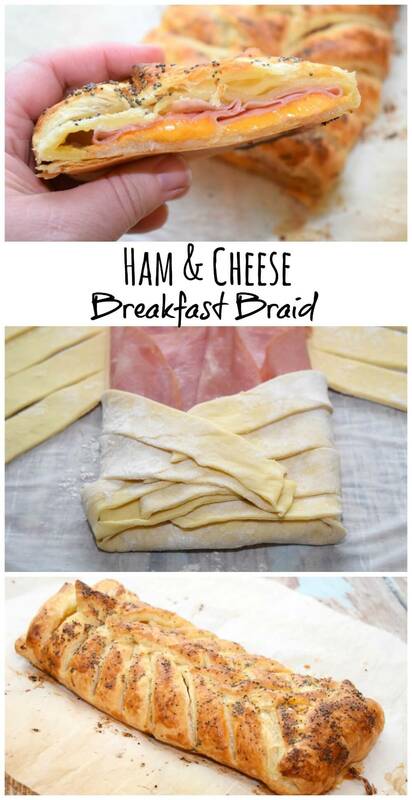 I like to call it a Breakfast Braid because I tend to make it for breakfast. But, really you can have this any time. We had it with a few sides for dinner a few nights ago, and it’s even perfect to whip up for family game night or Sunday lunch. 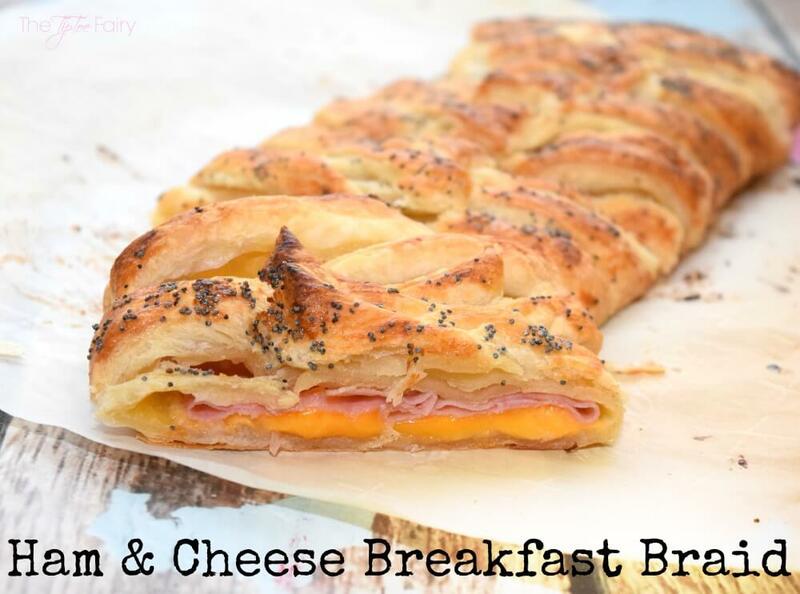 Using quality premium meats and cheeses make this Ham and Cheese Breakfast Braid extraordinary. 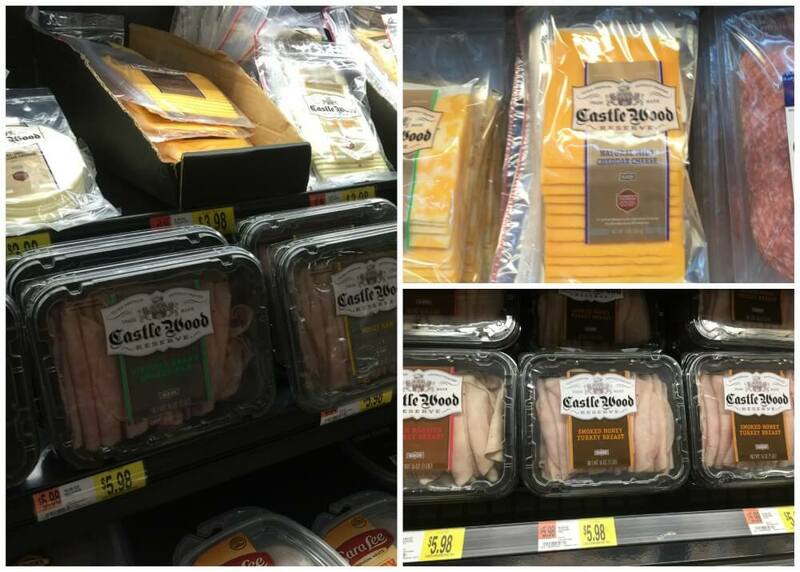 I like to use Castle Wood Reserve® deli meats and cheeses because they have no MSG, Trans-fat Free, are Gluten Free, and all their cheeses are rBST free. Just the other day, I was at Walmart and found both in the deli area for a great value. My personal favorites are the Honey Cured Ham or the Honey Smoked Turkey with Natural Sharp Cheddar Cheese. Castle Wood Reserve® meats are so good and make a great snack just by themselves. My kids love eating them rolled up alone. This recipe is easy peasy and will take just a couple minutes to get ready to bake. First, defrost one piece of puff pastry and then roll it out to about 10 x 14 inches in size. Then, use a pizza cutter to angle the strips like I did in the photo. At the very bottom, cut the last little strip off each side so you’ll end up with a center flap. Do not be afraid of this. 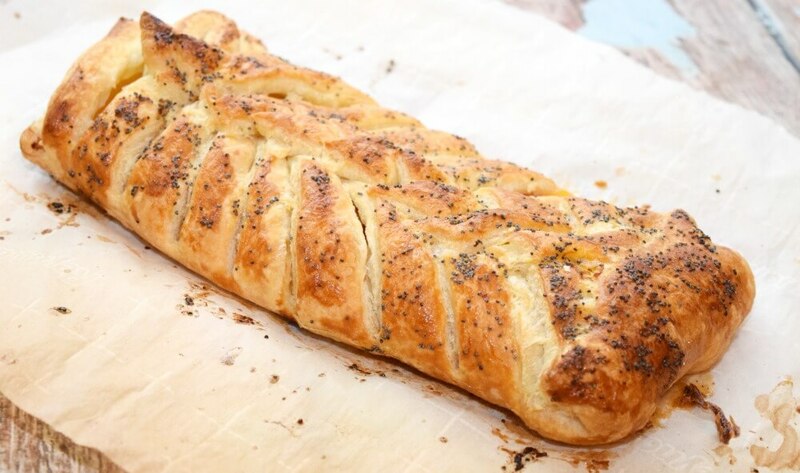 The puff pastry puffs up and makes it look amazing, no matter if the strips are a little messy. Layer the meat and cheese anyway you’d like down the middle. I put cheese on the bottom and ham on top. 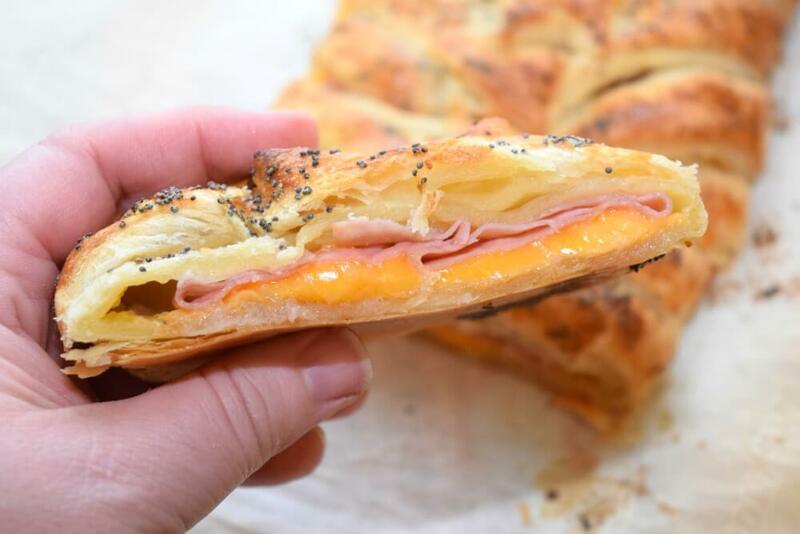 Fold that bottom flap over the ham and cheese. Then, it’s time to fold the strips over. 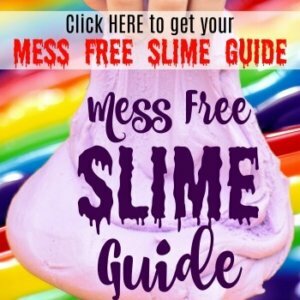 This so easy, there is no wrong way to do it. Just crisscross one side then the other all the way up. 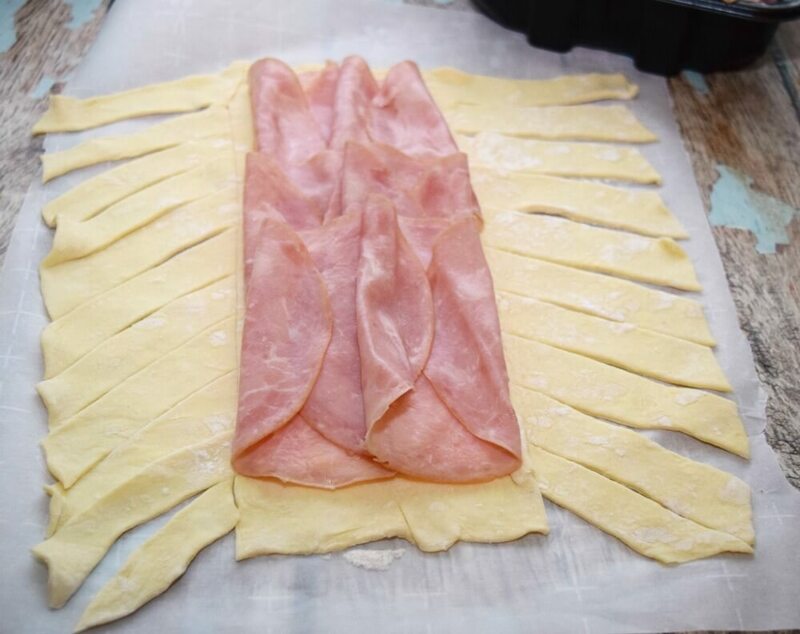 Once you’ve crisscrossed all the sides, dab a little egg wash on the edge at the very top, then fold it over to completely cover the ham and cheese. 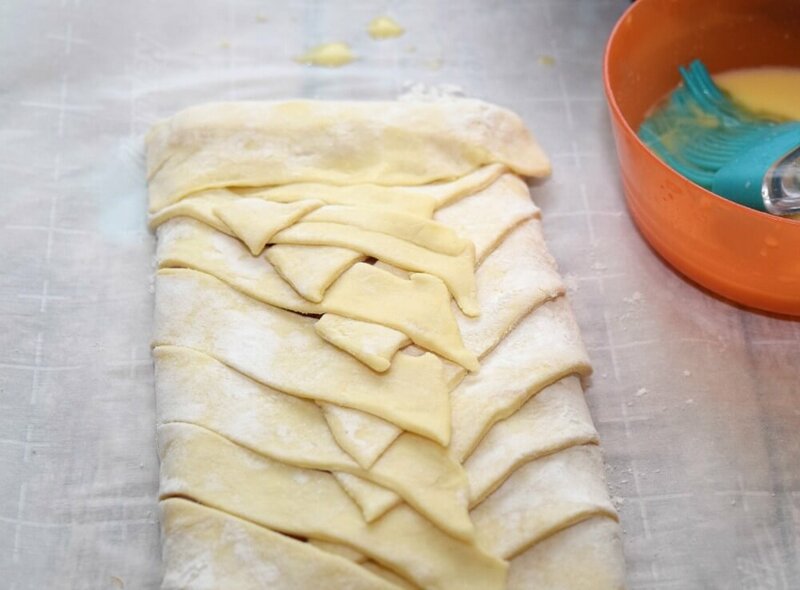 Brush the entire pastry with a light layer of egg wash. Melt about 2 tablespoons of butter and mix with 1/2 teaspoon of poppy seeds. Brush the entire pastry with it. Now it’s time to bake. Let it cool for just a minute or two before slicing and serving. I slice up pieces about 2 inches long, which ends up being about 5 slices – perfect to feed my family of 5! 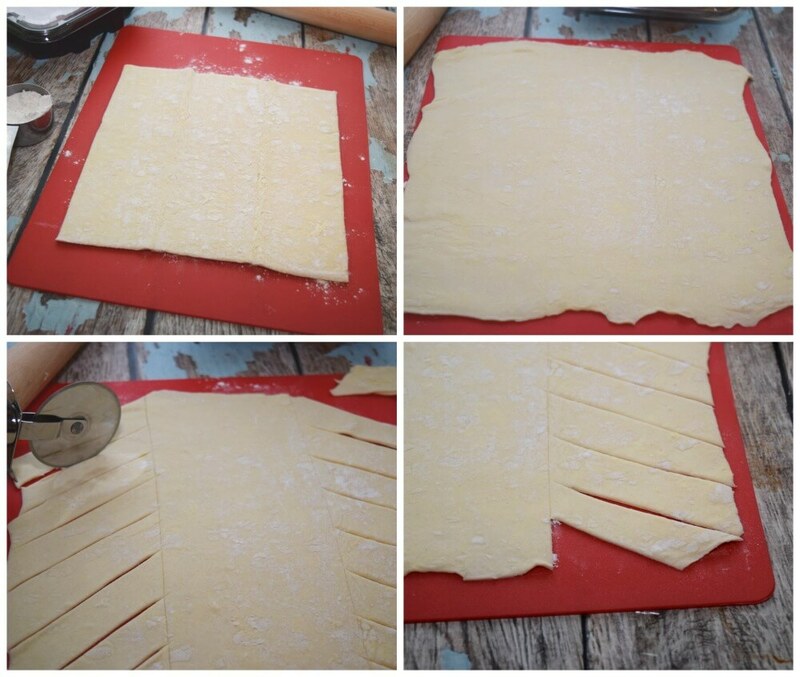 After the puff pastry has defrosted, lay it out on a piece of parchment paper and roll it into a rectangle about 10 x 14 inches in size. Using a pizza cutter, slice the sides into slanted strips. Down the middle layer the cheese and then layer the meats. 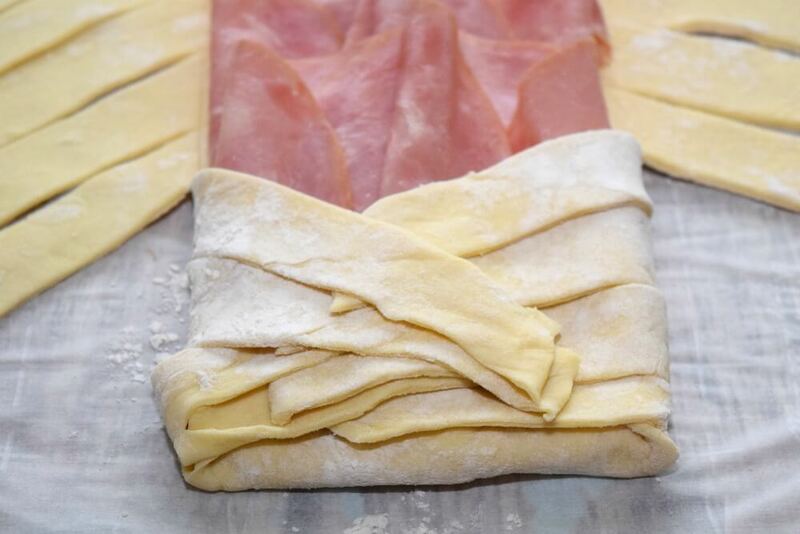 Fold the bottom of the puff pastry up, and then wrap the strips. 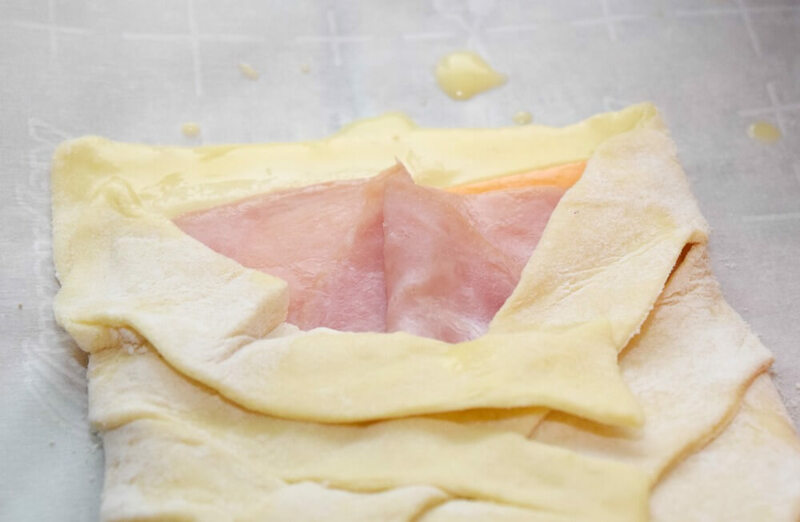 Combine the water and egg and beat to create an egg wash.
At the very top of the puff pastry, add some egg wash to the edge and fold over so that the meats and cheeses are completely covered with puff pastry. Brush egg wash all over the puff pastry. Combine the melted butter and poppy seeds. 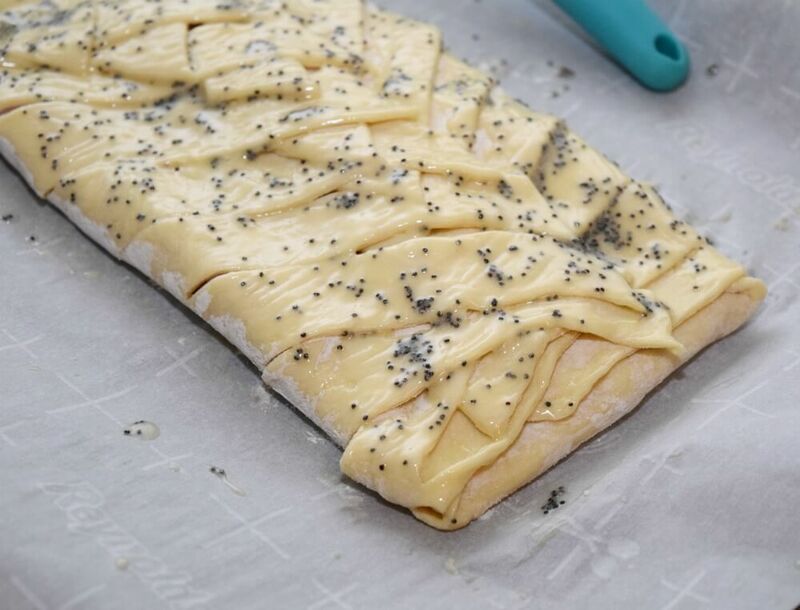 Brush the butter and poppy seeds all over the puff pastry. Remove from oven, allow to cool for 1-2 minutes before slicing into 2-inch slices. This is best served warm, and if we have an extra piece or two left over, I just keep them in the fridge and reheat for 20-30 seconds in the microwave. My kids love reheating it for breakfast before school or an afternoon snack. Let’s get Beyond The Sandwich! What’s your favorite way to serve meats and cheeses? Can I assemble everything up to the baking step, then put it in the fridge overnight to bake the next day. I think that would work just fine. I’d just pull it out and set it on top of the oven while the oven preheats.